DON CARLOS is a name of boat Nautitech 40 ,which has been produced in 2015. 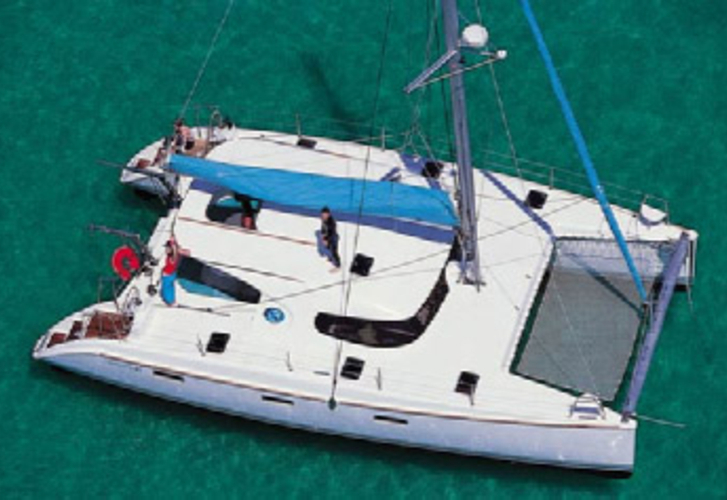 You can charter this sailboat from harbor Palma de Mallorca in the region: Palma De Mallorca. DON CARLOS is furnished with 10 beds. Sleeping places on the vessel are configured in 10 layout. 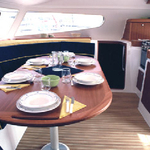 4 cabins are placed inside the yacht DON CARLOS. Use the search engine for search for our offer by clicking on this link: Catamarans Palma De Mallorca. Passengers can feel good on this sailboat , because there are 2 heads with showers for their disposal. With 2 x 225 lt liters in fuel tank you can sail really far and still be independent because of 2 x 225 lt l. in water tank. DON CARLOS is driven by engine 2 x Yanmar 30 hp. Vessel's dimensions are: LOA - 12.00 m , beam - 6,91 meters and 1,35 m of draft. Security caution accounts for 3500.00 EUR. 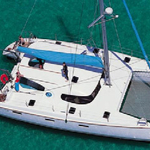 In our search engine you can easily check avalailability of vessel DON CARLOS from Palma de Mallorca by navigating to the section Catamarans Balearics.